On April 23rd, 1947, Thomas Louis Cook was born in Hanover, NH, to Bill Cook '49 and his wife Evelyn. Bill Cook was a decorated World War II airman who had received numerous commendations for his service to his country, including a Purple Heart for a gunshot wound inflicted during the US Marines' occupation of Peleliu Island in the fall of 1944. 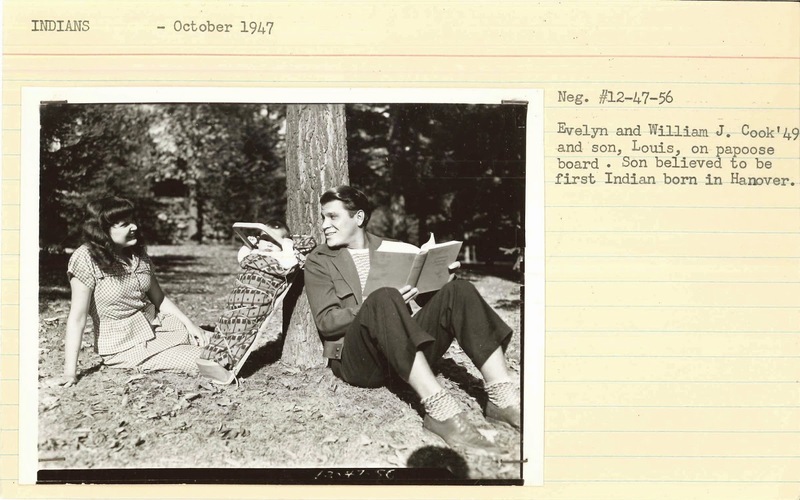 After the war, he and his wife came to Dartmouth, where he distinguished himself as a lacrosse player and she ran a small crafts store in downtown Hanover. Thomas's birth was big news on campus, and not because a baby being born to a student was all that uncommon; after the war, numerous servicemen returned to college with their families. According to Cook himself, "babies have evidently been arriving so thick and fast that the College needs a full staff to keep up with them." 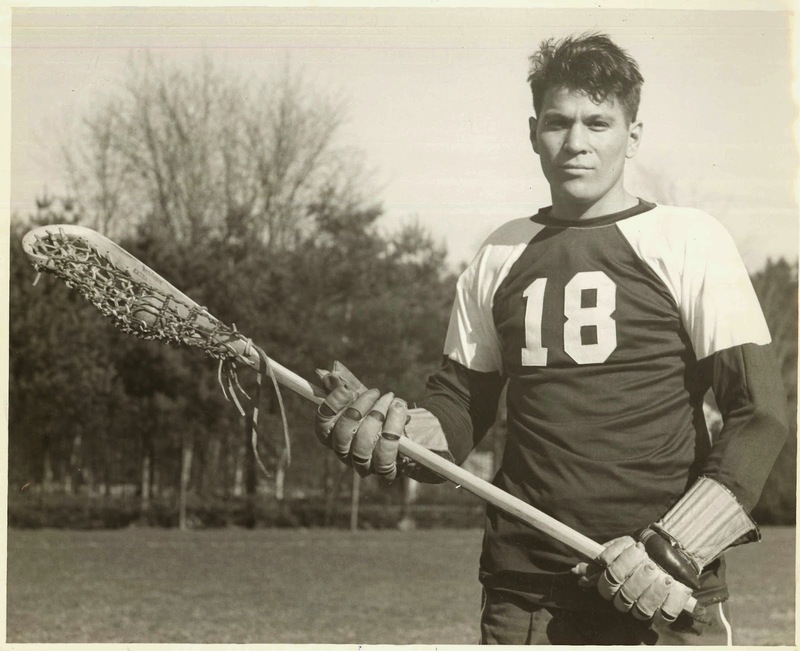 Instead, all the excitement was because Thomas, whose Mohawk name was Ronwi Kanawaienton, was being popularly identified as "the first Indian born in Hanover." Despite the questionable veracity of this claim, numerous newspaper articles heralded the child's birth, the College Photographer arranged a photo shoot of the family, and President John Sloane Dickey signed a formal declaration welcoming Ronwi to campus. 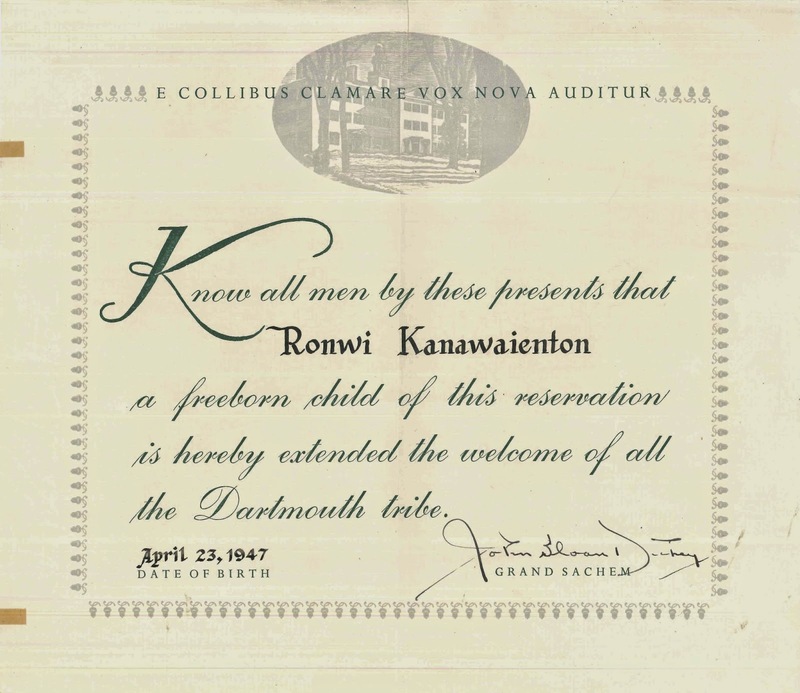 Although the enthusiasm of the College seems genuine enough, its treatment of Ronwi and his parents reveals the struggle of the Dartmouth community to differentiate between its traditional appropriation of Native American culture and its treatment of actual Native Americans. A sense of unease pervades, in small details, like the College Photographer's subject heading ("Indians") for his files, or the use of the title "Grand Sachem" in Ronwi's birth declaration. Sadly, we will never know how Bill Cook felt about the attention lavished upon his son by Dartmouth, or his time on campus: he died in a military flying accident in 1952 after being called back into service as a flight instructor. To learn more about Bill Cook '49, and to read an essay he wrote for GOVT 54 about the threat of governmental paternalization of the Mohawk tribe, come to Rauner and ask for his alumni file. Next article:Greetings From Paddock Music Library!